Arrows show the direction of current. The problem I'm getting is if r < R , then R/r > 1 which implies V>E. 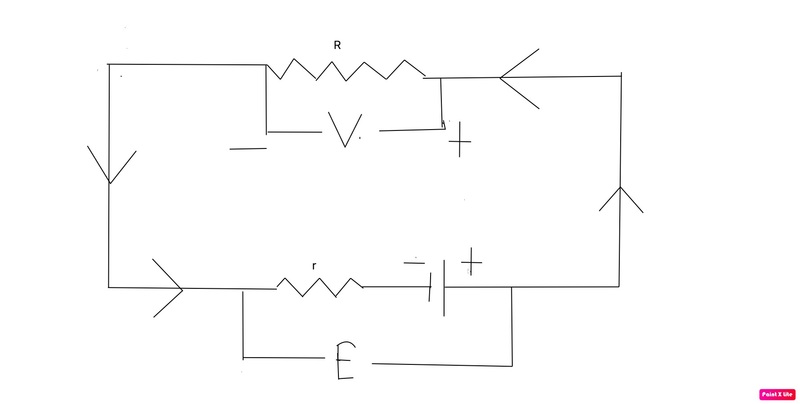 How is it possible that the voltage across a resistor can be more than the emf of the battery? I must be mistaking somewhere but I'm unable to find it. Your $\mathbf E$ is not the emf of the cell. Assuming that $r$ is the internal resistance of the cell then $\mathbf E$ is the potential difference across the terminals of the cell. Let $\mathcal E$ be the emf of the cell and $E$ the potential difference across the terminals of the cell. $\mathcal E - Ir = E$ is the potential difference across the cell terminals. 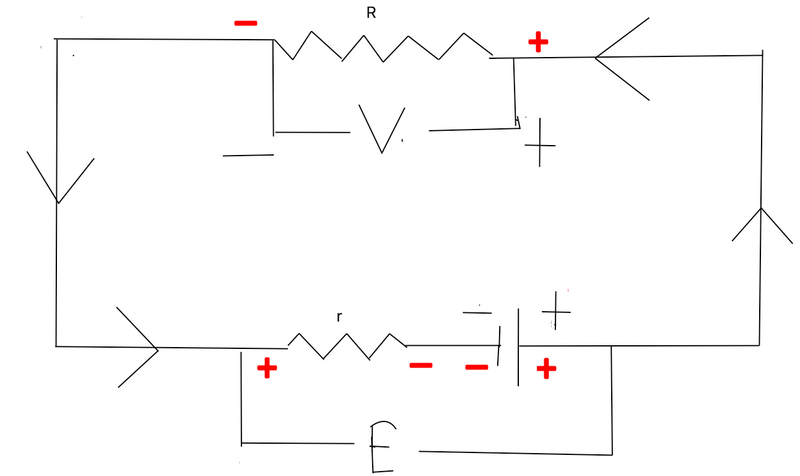 $ IR = V$ is the potential difference across the resistor R.
So substitution these two potential differences into the first equation one gets $E-V = 0 \Rightarrow E = V$ as expected. Not the answer you're looking for? Browse other questions tagged homework-and-exercises electric-circuits electrical-resistance or ask your own question. How can a battery offer resistance and act as a voltage provider?